Our Championship Show was held on 5 th November 2016 . 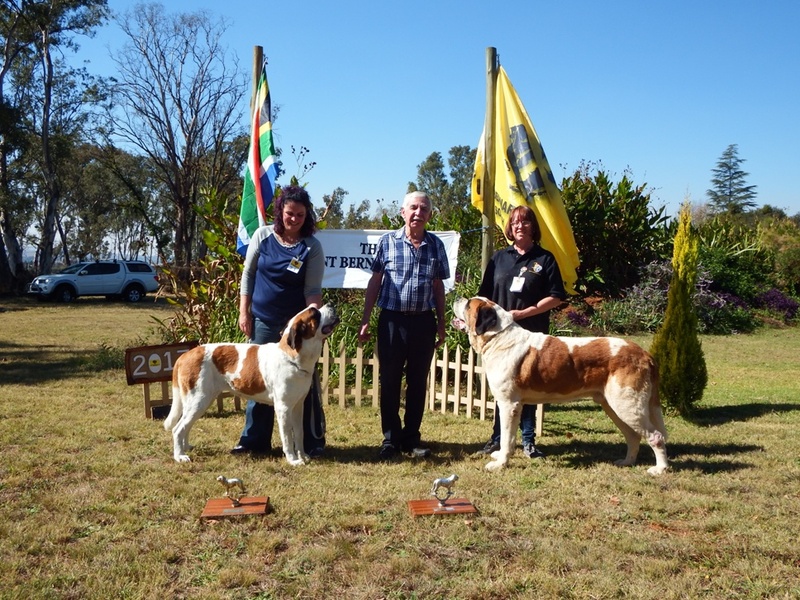 We had a excellent entry both in the breed and carting with a total of 41 dogs. Tracie Austen judged the breed. Smooth and rough coats dogs were judged separately and this proved once again to be a successful format. Adrian Sheasby did an excellent job ring stewarding and Adrian Austen was our scribe. for the day. Each exhibitor was also given a written critique after the show. Stephanie Bridge judged our carting event. She put a lot of work into her set up, following the Guy Fawkes theme, she built a “bonfire” and the handlers wore masks and capes! A lot of fun was had by all! This year we reintroduced the fancy dress class. 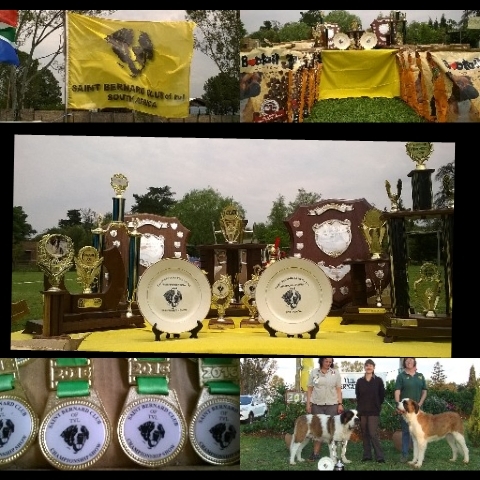 Our members and their dogs put on a fantastic show, looking forward to see the same enthusiasm at the show in November. A big thank you to Henriette and Bertie du Plessis for the sponsorship for the championship show. Our club has hosted 2 breed seminars this last year and will be hosting another one on the 21 st October 2017 on review of the Hallmarks of the breed, head and movement. We also held an open show on the 21 st May 2017. Our judge was Mr Adrian Sheasby. We had 26 dogs entered. It was a fun day for both dogs and handlers. Thanks to Johan Jacobs for taking the photos, Ryan and Dana for organizing the catering, Jessica for working in the office and Henriette and Bertie du Plessis for the sponsorship. Once again a successful show! 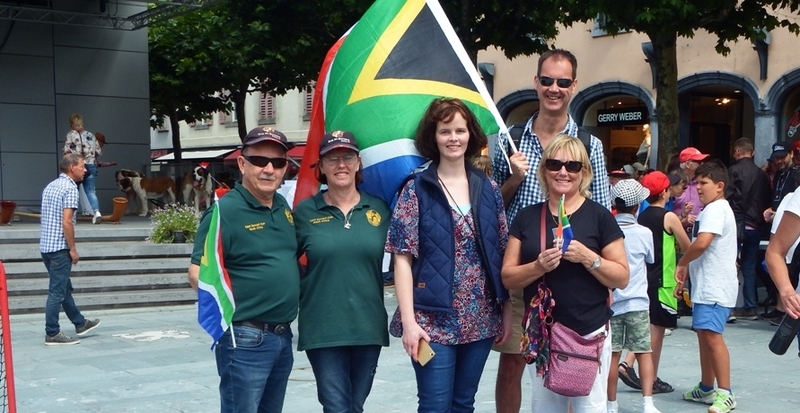 One of our club highlights this past year was our tour to Martigny, Switzerland. Our tour group consisted of five club members, who to attended the WUSB conference, AGM, delegate meeting, Gala dinner and show. We started our tour in Milan, visited Simplon Pass, Sion castle, Martigny, Chamonix with a tour to the top of Aguille du Midi at 3800m, Aosta, Hospice du Grand St Bernard and finally Venice. One of the highlights’ was the Parade through the streets of Martigny, on the day before the show. 270 Saint Bernards were entered into the world show! As usual the Swiss put on a fantastic event. Good food, Good Atmosphere and Good company. In 2016 I was nominated to the WUSB International Working Group which was proposed at the WUSB 2016. The first meeting of this new working group took place at the WUSB in Martigny, Switzerland. Representatives from USA, Czech Republic, Denmark and France form the full committee, which is chaired by the WUSB president. This group has been established to advise WUSB on various issues regarding Saint Bernards. Next year the WUSB will be held in Bagnara di Romagna , Ravenna, Italy. The judges for the 2018 WUSB were voted for at the delegate meeting and I was chosen to judge in Italy. Our group then spent a week up in the Swiss Alps at the monastery. We were meet by Father Raphael Duchoud on the Monday for a personalized tour of the Hospice, Church and Crypt, which was very informative. On the Tuesday Sister Clair Jonard gave our group a guided tour through the Museum and temporary exhibition about Barry. And the highlight of our trip to the Hospice du Grand St Bernard was the hike with Cheyenne, a beautiful Saint Bernard. Deputy director of the Barry Foundation, Gabriel Friggiera came and spent a day with us walking in the mountains, through the streams and the snow, ending the morning with lunch at the Hotel Auberge. Our last 2 days were spent in magical Venice sipping wine in Marks square and visiting various churches and historical buildings. A great time was had by all. Saint Bernards were also represented at WODAC, in the group hall hosted by KUSA. Thank you to our club members and committee members for their sponsorships and support throughout the year. Without you all we would not be able to hold such successful events’.